Raising the public's awareness of anti-transgender hate crimes, the annual Transgender Day of Remembrance is back nationwide this month. Cleveland's own inclusive event kicks off tonight, put on by the Margie's Hope organization. As we've reported earlier this year, Cleveland is sadly home to a significant percentage of transgender homicides, making tonight's assembly all the more meaningful. 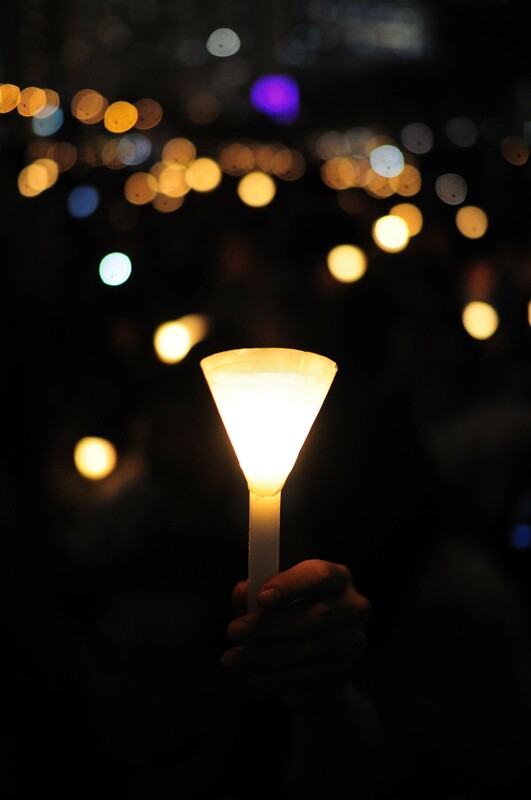 The public is invited to show support for the trans community by meeting at the AIDS TaskForce (2829 Euclid Ave.) by 5:45 p.m. for a walking candlelight vigil toward Trinity Cathedral (2230 Euclid Ave.). Once there, a memorial program is scheduled, followed by the handing out of the Illumination Awards. As expressed in a Margie's Hope press release, the awards are given to "an organization or individual who has helped to light the way to increased acceptance of the transgender and non-binary community." An after event is scheduled at Luxe at 6605 Detroit Ave.
Find out more about tonight's event right here.